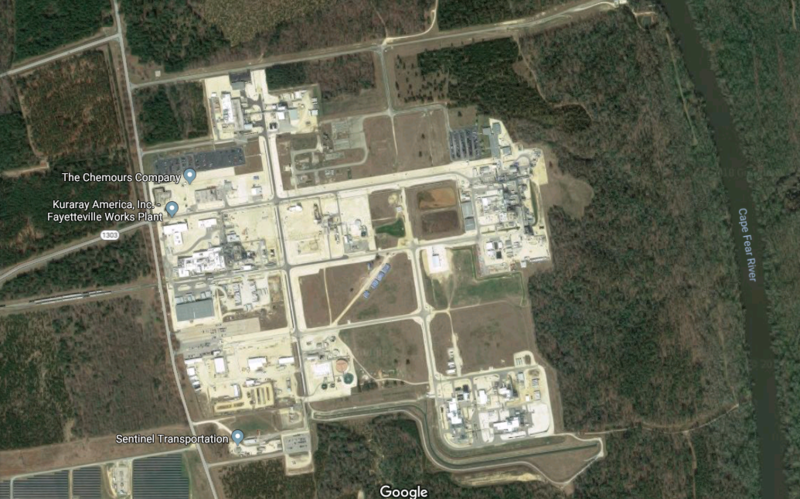 The Chemours plant, responsible for discharging GenX and other fluorinated compounds into the Cape Fear River for at least 30 years, reportedly suspended its operations before Hurricane Florence hit, according to state environmental regulators. The facility hugs the Cape Fear River near the Cumberland-Bladen county line. 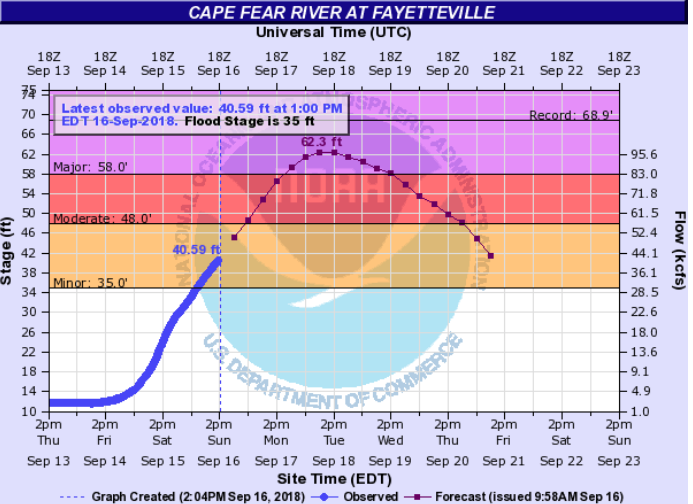 North of the plant in Fayetteville, the river is currently at 40.59 feet, according to the National Weather Service, 5 feet above flood state. The river is expected to reach 62.3 feet by Tuesday, which would exceed peak levels during Hurricane Matthew — 58 feet. the record is 68 feet. Concerns about further degradation of the river and nearby private drinking water wells focus on the heavily contaminated soils and groundwater at the plant site. Rain and flooding could wash the compounds into the river and onto neighboring properties. DEQ spokeswoman Bridget Munger said if conditions are safe enough for travel tomorrow, staff from the Division of Water Resources will conduct a site visit and restart sampling the discharge. The sampling equipment was turned off ahead of the storm, Munger said, to avoid damaging or losing the equipment. However, considering that the river is forecast to rise for at least the next day, the site inspection could be delayed.